ACT is truly broadening its international work and presence in ways that many of our customers and constituents are likely unaware. We recently traveled to Cairo, Egypt to join Egyptian Ministry officials, secretary generals, and heads of industry along with delegations from Jordan, UAE, Bahrain, Kuwait, and Oman in attending the Empowering Youth through Education Summit. 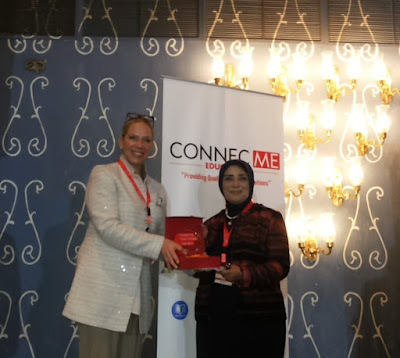 ConnecME Education—our partner in the Middle East region—organized this summit as part of an initiative to foster conversation on pressing issues regarding education, training, certification & licensure, unemployment, and higher education. My ACT colleagues and I were honored to present ACT’s breadth and depth of knowledge to such an esteemed crowd of regional and global policymakers and thought leaders. We presented on a host of educational assessment topics: social and emotional learning, assessment technology, computer-based testing, high school capstone equivalency, postsecondary recruitment and retention services, and updates on our innovation arm, ACTNext. Dr. Maisa Shawki, the Deputy Minister for Health and Population of Egypt, said, “We are meeting today to put the best scientific methods that will confirm the achievement of the goals of Egypt’s 2030 strategy.” It was a thrill and honor to be a part of this summit. 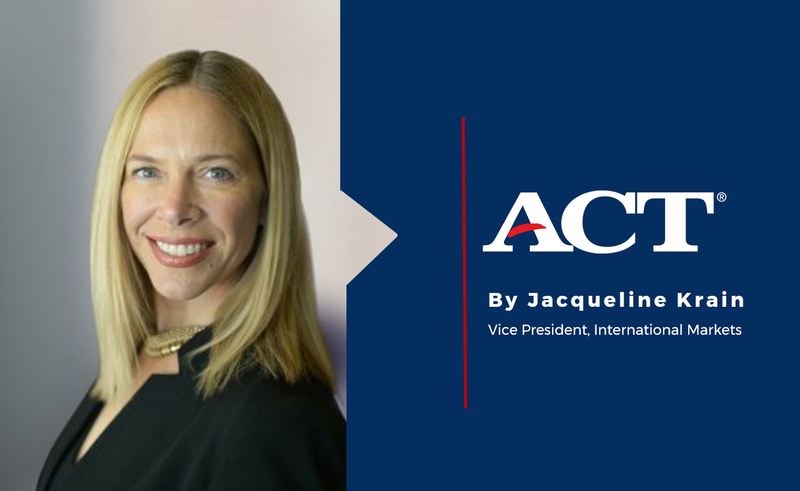 It has been my primary goal since arriving at ACT to expand our mission of helping people achieve education and workplace success to reach a global stage. I truly believe that our solutions are, as Deputy Minister Shawki said, “the best scientific methods” out there to help all learners capitalize on education and workplace opportunities. By growing our network of in-country regional expert partners such as ConnecME, we have seen tremendous international growth, while ensuring that we stay attuned to the needs of our customers and the market in which they reside. While we understand the importance of recognizing differences and particulars of one country compared to another, what strikes me as we speak to dignitaries, business professionals, and students from different cultures is that we are more alike than we are different. Not only that, but in many cases, our different challenges can be addressed by similar solutions. This summit in Cairo put on full display the collaborative nature of its participants and fostered the sharing of ideas across departments, institutions, and even countries. I look forward to the next iteration of the Empowering Youth through Education Summit, which will be held this month in the UAE, where FUNDAMEE, our respected partner in Mexico, will share with our Middle Eastern stakeholders the important work they have done in their country regarding workforce certification & training. This is really just the beginning for ACT’s expansion across the globe. I am excited for what the future holds and know that, together with our partners, we can improve outcomes for individuals, educational institutions, employers, and governments around the world.